Veracity VHW-HWPS-C HIGHWIRE Powerstar Ethernet & PoE over Coax CAMERA unit.HIGHWIRE Powerstarâ€™s unique ultra-low-power design and efficient power delivery enable long-range extension even over the lowest-grade cable, such as the high-resistance copper-clad steel (CCS) types found in many legacy installations. This means that legacy coax upgrades can be planned with confidence, while a quick check of the SafeView power display reaffirms that the device's connection will continue to be reliable, whatever the cable used. Reliable power delivery is also ensured at the source, where either dependable screw-terminal connections or a UPSbacked POE supply can be used. And for predictable network operation with no restrictions, HIGHWIRE delivers a full 200Mbit/s of bandwidth at 300m (1000 ft) of RG-59 or 500m (1600 ft) of RG-11 coax. If a custom application demands a greater range, HIGHWIRE coax sections can be connected in series to deliver network connections up to 4km (2.5 miles), at full bandwidth and with no extra power wiring. With no need to configure IP addresses, set DIP switches, or make awkward measurements and calculations, installing HIGHWIRE Powerstar is so straightforward, all you need to do is plug it in. In the most simple implementation, the BASE unit receives POE power from a standard POE switch or injector and transmits it down the coax. The CAMERA unit receives this power and forwards it on to the IP camera. No external power cabling is required, and all detection and setup occur automatically. If POE is not available, or for an extra power boost at either end of the cable, just connect the optional power supply. HIGHWIRE Powerstar features Veracityâ€™s unique SafeView display, to provide IP camera installers with an instant and very easy-to-understand confirmation of correct operation from either end of the cable. For example, the network link/activity and POE status of the IP camera can be viewed from the BASE unit, saving the time of accessing remote equipment. Cable length and quality can be hard to predict or measure, especially in legacy upgrade scenarios, which is why SafeView includes a reassuring bar - graph display of the POE power available, and a warning if the cameraâ€™s requirement approaches it. 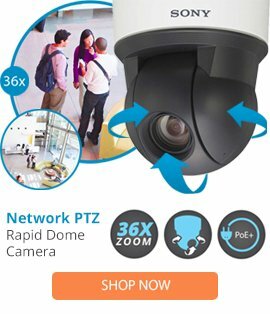 True POE Plus detection means that all POE (IEEE 802.3af) and POE Plus (IEEE 802.3at) cameras are fully supported, and non-POE equipment can be safely connected as well. Careful POE-over-coax detection and management are also employed, to prevent accidental damage to legacy equipment and allow operation with other HIGHWIRE models.